Having toured Italy together last November, the world renowned pair of Polish pianist Krystian Zimerman and Polish conductor Grzegorz Nowak returned to that country on March 11 to reprise a similar program with the Orchestra del Teatro Carlo Felice in Genova. 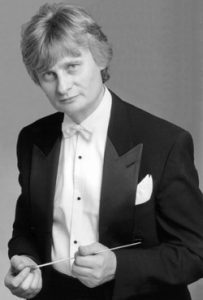 The concert featured Zimerman as soloist in Leonard Bernstein’s Symphony No. 2, “Age of Anxiety” and he chose to dedicate the performance as an homage to Bernstein, celebrating the centenary of the composer’s birth. Sunday, March 11, 2018 | 4:00 p.m.